Honoring Your Dad on Father's Day and Everyday - JP loves LIFE! I just saw this tweet from Mike Ver Steeg “father’s day, farming go hand-in-hand. G’pa taught my dad abt land&livestock. My dad taught me, now I teach my kids.” That simple direct statement is something I’ve heard so many times. Fathers and grandpas learning and living and passing that along to the next generation. My dad was a printing pressman. I’ve always thought that made for a really interesting connection between he and I. With my career, I’ve been lucky enough to write a lot of things that were turned over to someone like him. Growing up, I don’t think I ever thought he was imparting some special knowledge or connection to printing, but one I joined the workforce, I found out I had picked up far more than I ever anticipated. And that I appreciated some of that as it has been very helpful. Another thing I picked up from him that I didn’t appreciate fully is some exposure to gardening. There were several years where we had a backyard garden that was a fairly good size. Some years we had a garden plot at the “penal farm.” That area has become Shelby Farms. I didn’t help in the garden as much as I now wish I had, but at the time I had far too much! Hot & dusty then may have helped me understand that taking a job with agricultural magazines would not be a glamorous life, but I did that anyway. 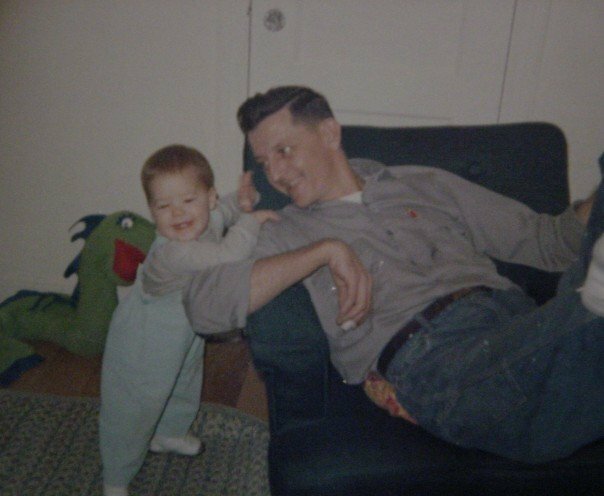 And in the years since I’ve moved around within agricultural communications positions with a few companies, I have frequently thought about these connections to my dad even though he died before I had a career path. Farmers frequently have daily connections to other generations. The connections between family and farm are so tight and so numerous that they can’t be separated. But most of us have some clear ideas on some of the things we learned from dear old dad that help us do our jobs better. What did you learn from your dad that stays with you while you are working? A saying “Can’t died in the poor house.” As five daughters on a dairy farm we learned to do everything. I couldn’t believe it when I realized some people said I couldn’t do something because I was a girl.